CMU offers kosher dining options on campus. Pitt also offers a kosher dining option that is centrally located in the food court of the Towers Dormitory next to the William Pitt Student Union. In addition, all food served at Hillel JUC programs and events is kosher. 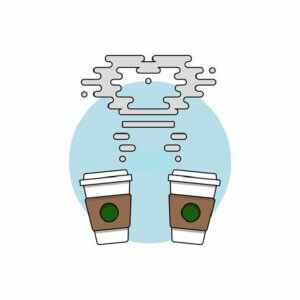 Both the Hillel JUC as well as the respective food service providers at CMU and Pitt are always open to exploring options and accommodating special needs whenever possible. How do students get involved with Hillel JUC? Are there membership fees? Any student on campus can participate in Hillel JUC sponsored events. There are no membership fees and students are encouraged to plan and/or attend as little or as many programs and activities as they wish. Programs are supported by Parents, Alumni and the Jewish community of Pittsburgh. If you have an idea for a program or would like to find out about leadership opportunities, please click here. What kind of student programs and groups does Hillel JUC Facilitate at CMU and Pitt? The Hillel JUC runs a wide array of programs designed to enhance the Jewish awareness of our students including spiritual, cultural, historic, and Israel-based programming. We have two student boards, one from CMU and one from Pitt. While the boards operate autonomously, they work collaboratively on three committees including Jewish education, social justice and Shabbat and holidays committee. 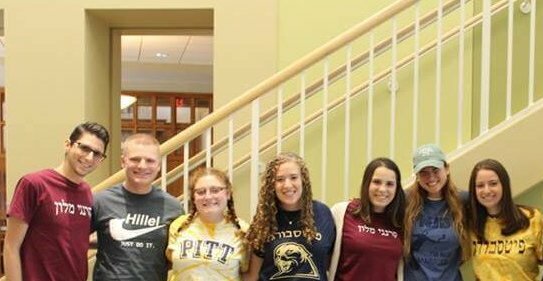 Together, with our staff, they plan programs, events and holiday celebrations that are open to the entire Pittsburgh Jewish university student population. Students are encouraged to pursue their ideas, take the initiative, as well as get involved with existing projects and committees. For those not on a committee, students with good ideas are still provided funding and mentoring. The only limitations we have are our own imaginations! How many Jewish students are there on campus in Pittsburgh? There are approximately 1,600 Jewish undergraduate students at The University of Pittsburgh (Pitt), about 8.5% of the undergraduate student population. At Carnegie Mellon University (CMU) there are approximately 400 Jewish undergraduate students, about 6.5% of the undergraduate student population. There are approximately 600 Jewish graduate students at CMU, Pitt and Duquesne University combined.